Ah, the 3D platformer. Ever since Super Mario 64 landed and showed everyone just how good three-dimensional platforming could be, there have been developers hoping to capture just a smidgen of that game’s magic. It was a tough act to follow, even for the plumber himself, but his latest outing on Switch has him at the very top of his game. However, despite having a reputation for hosting the finest of the genre, none of Nintendo’s platforms have hosted the breadth of 3D platformers we saw back during the genre’s N64 heyday. Those collectathons arguably went out of fashion in the early noughties when games like Halo heralded the ascension of first-person shooters on console, but every so often one crops up to remind us of the good ol’ days of Banjo-Kazooie and Glover. In comparison to the voluminous catalogue of 2D platformers available – a selection so impressive we decided to split it into the best 2D platformers and the best Metroidvanias on Switch – the list of potential 3D platformers is decidedly slimmer. Why bother with such a one-horse race, you may be thinking. Well, in addition to this not being a ranked list, the fact is that Switch has accrued some impressive examples of the genre. No, they may not quite reach the incredible heights of the Italian gentlemen’s balloon ship, but they certainly offer some wonderful experiences when the odyssey’s over. Yooka-Laylee is a worthy modern tribute to the collectathons of yore - coming from many of the developers who created the incomparable Banjo-Kazooie - and it's highly recommended for Switch owners. This feels like a game that belongs in 1996 with all the quality-of-life improvements of a modern game, making for an excellent blend of new and old. Though it can be a little uneven at times, the game as a whole manages to achieve what developers Playtonic set out to do; to recapture some of that classic Rareware magic and make a fresh game with the same mischievous spirit for fans who have been waiting so long. With compositions from genius ex-Rare musicians David Wise and Grant Kirkhope, you know it makes sense. Oh, the controversy - a 3D platform game where you can't jump! Sumo Digital's Snake Pass is a real gem in the Switch library, and is certainly worth a look for anyone looking for a joyous palette cleanser. It's unlike anything else we've played before; a fresh platforming experience that will keep you engaged until the very end. Solid visuals, unconventional gameplay, a memorable soundtrack (that David Wise, again) and a decent amount of replay value make this well worth your time, and we absolutely give it a recommendation. If you're looking to take a chance and play something unique, then Snake Pass is well worth a look. 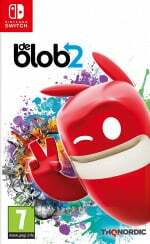 de Blob 2 keeps many of the same characteristics found in the original Wii game, with both the brilliant - and the not-so-brilliant - features mostly staying intact in this updated Switch version. The cameras can still be occasionally fiddly, and things can feel a little too easy in places, but brand new 2D sections and a slightly more refined-feeling overall experience put the sequel just above the original in our pecking order. Either game should go down well – especially with a younger audience – but this one just about splashes its way into first place. 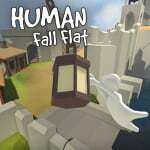 Human: Fall Flat recognises a simple truth: people falling down is hilarious, and when they're seemingly impervious to damage, that's just an added guilt-free bonus. Playing as a wobbly, awkward avatar takes a lot of getting used to, and perhaps you never really get used to it at all, but the game leaves each level wide open to a variety of solutions to suit your own personal style. Tackling the five-to-six hour long adventure solo isn't as fun as getting a second player to join in, even if the game's performance takes a hit. The lack of online multiplayer is a little disappointing, but we reckon that you and a fellow human might really fall for this little puzzle-platformer. Over and over and over again. You've got to feel a little bit sorry for Poi and its developer PolyKid. You spend years making your own 3D platformer, pouring your heart and soul into it, and the universe conspires to have it release the same week as Super Mario Odyssey. Doh! 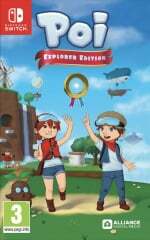 Poi: Explorer Edition is a great platforming adventure in its own right, though. Anyone who enjoys a good ‘collect-a-thon’ will be in Heaven with this game – the Medallions are great fun to work towards and finding every single extra collectable will take some considerable time and effort. If you enjoy games of this genre, we’d definitely recommend giving Poi a go. It deserves to be played. 'Ok,' you're thinking, 'I made an exception for Snake Pass, but now Captain Toad?!' Well, despite the puzzle angle, this is still a 3D platformer and the lack of a jump button doesn't make this any less of a winner. With beautiful visuals and an upbeat soundtrack, Treasure Tracker is a real gem; a wonderful and gorgeous platform puzzler fit for all ages, and one which you should definitely experience if you're yet to. Two-player co-op makes this offering even tastier, and there's even a nice little nugget of DLC for once you've polished off the main game. 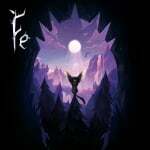 Poignant and moving in both theme and execution, Fe is one of the most unique platformers on Nintendo Switch. Its platforming can be a little hit and miss, and its stealth feels a little too forgiving at times, but that doesn’t stop its world and the unique vocal premise from bewitching you with a dark and Gothic Nordic fairytale. While it’s not as groundbreaking as other dialogue-less games such as Journey, it’s still one of the most intriguing worlds to explore on Switch. As you’d expect, LEGO DC Super-Villains doesn’t make many attempts to change up the formula that’s served the LEGO series so well for so long, but with a vast library of well-applied and famous baddies to draw from it offers a far more engaging and memorable story than the stretched-too-thin LEGO The Incredibles. However, with a brilliant cast on hand (can anyone really compare to Hamill’s Joker? ), a vast sandbox hub and all the customisation options you could want in Danish brick form, this familiar playground still has bags of charm. 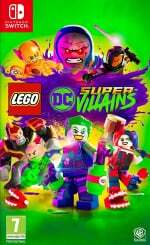 While this is the best of the lot, there are plenty of alternative LEGO titles if DC Villains aren't your bag, each offering similarly accessible gameplay across a variety of worlds. LEGO Harry Potter Collection, The LEGO Movie 2 Videogame and LEGO Marvel Super Heroes 2 are all solid platforming fare. You've surely got this in your collection already, no? Just like Vanessa Williams, we went and saved the best for last. No, this list isn't ranked, but let's not kid ourselves, hmm? 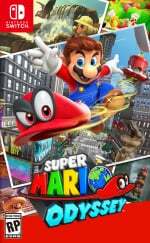 Super Mario Odyssey represents a shift in direction for Mario. For about a decade we had exceptional but tightly structured 3D series entries, but this new arrival’s building blocks go back to Super Mario 64. 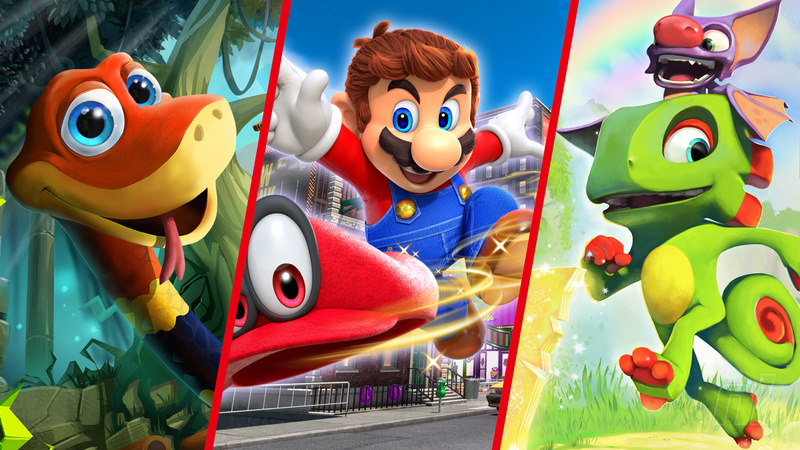 It’s a very modern take on ‘sandbox Mario’ - Cappy and his abilities are key additions that freshen up the formula, and we have a sizeable and diverse set of lands to explore. In the second half and post-credits - in particular - it takes on a life of its own, showcasing incredible design and development flair. It’s also a wonderful showcase for the Switch, and would be a fabulous introduction to the wonders of Mario in three dimensions. For the veterans among us, meanwhile, it’s yet another special release to remind us of why Mario is still gaming’s number one. More 3D platformers than you were expecting, no? Have we missed anything that you've really enjoyed? Let us know in the comments. Did Fe ever get a physical release? It looks lovely. Is there a glitch with your Amazon links or are you really trying to sell games with that huge markup? Yet another unnecessary list. So many of those games are mediocre and we don’t even have A Hat in Time yet. Why is it that whenever Crash is mentioned nintendolife feels the need to put the game down and make unnecessary fanboy comments against it? "This is definitely worth a look if you're a fan of 3D platformers, but just as was the case back in the '90s, Crash isn't in quite the same league as Mario when it comes to playability, inventiveness and entertainment. " Just like they did in their review of the game. Snake Pass is a definite go for me. I definitely hope for a sequel. @FragRed Pretty sure the games that are crazy expensive had are eShop only games that had very limited physical copies sold. So they are pretty rare and expensive. Ahhhh, Snake Pass... the origin of icon-gate. "Please note that some of the links on this page are affiliate links. 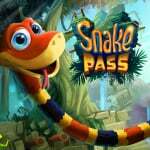 If you click them and make a purchase we may receive a small percentage of the sale... "
Love snake Pass! Enjoyed it more then Yooka-laylee. Poi really is a solid game, and its release timing was a true pity. I'm glad I gave it a shot. I had a great time with Snake Pass, too. Not much question about which of these games should come out on top. Obviously I'm talking about Poi, an utterly indisputable masterpiece of 3D platforming. Unquestionably the best 3D platformer to release on October 24, 2017. 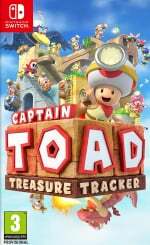 @1UP_MARIO Captain Toad isn't really a 3D platformer, it's more of a puzzle game. I find it hard to call it a platformer when you can't even jump. Why are you linking to overpriced physical versions of some games? They were part of limited release runs. It's better to recommend the eshop versions instead. Need to try Poi. To be honest I was disappointed with Super Mario Odyssey but that's just me. Can't believe you included those links. @1UP_MARIO It's just there to make this list look better than it actually is. I don't know if I have $150 to spend on watching a snake with partial paralysis die every two seconds. @sandman89 Turok is a first person shooter, not a platformer. It's a misleadingly infuriating game that isn't worth its sale price. It's frustrating and boring and all the artistic charm in the world can't save this disaster of a game. Lack of puzzle verity, lack of features and content. cute protagonist? Maybe. But for the love of God, stay away from this train wreck. @OorWullie don't bother with snakepass. Save yourself the money and frustration. @OSS-701 are you a masochist? How does anyone enjoy this game? Such a disappointment. Putting in rubbish games like Fe in this list and passing it off as a Best Of feature is a whole new level of low. This list is simply a reminder that quality 3D platformers are mostly missing from the Switch. This is a terrible list, where is Knack? @OorWullie @redDK snakepass is hard and that’s half the fun. I get sweaty palms playing it because I have to concentrate so hard. Get it if you’re up for it! Reminds me of hard games of yesteryear. @beazlen1 more power to ya! Glad you had fun. You guys should do a best Switch "walking simulator"/"first person exploration" games list. That would be interesting. @redDK @beazlen1 I actually own Snake Pass already. I was just making a joke about the ridiculous prices of the Amazon links. I played it for a few hours when I first got it and thought it was alright. I'll go back to it eventually. Yooka Laylee is an underrated gem. $150 for Snake Pass, what a deal!!! Jokes aside, Yooka-Laylee gets too much hate. It’s not as bad as people make it out to be - if you didn’t like collectathons like Banjo Kazooie or Donkey Kong 64 it WON’T change your mind, it’s literally made as a BK clone (complete with all the flaws), but it does exactly what it sets out to do and, after playing through it to 100% twice, I will continue to defend it. I hope it gets a sequel. That being said, the Rextro minigames and minecart level’s are pretty awful. I will say that much. Maybe i'm happy already with those that i have, didn't get interested in any of those others. @Paraka Mushroom Men did actually get a sequel, called Truffle Trouble, but it's PC only sadly. Poi has been excellent so far. Simple but perfectly executed and you know, fun. Oddysey felt all glitter and not enough gold (with gold being plenty of actually engaging platforming sections, and glitter being an over obsession with costumes). I didn't dislike it – but it didn't have much wow for me. For a Mario game it was weak. For me 3D Land is the most under-appreciated game in terms of nailing the 'essence' of what makes Mario fun. I enjoyed Snake Pass - but it does get very frustrating in later stages. Yooka Laylee I haven't played and with such split opinion I still don't know whether to bother. I'd like to be encouraged to get it. A Hat in Time looks great but I'm still hurt by the developers being totally deceptive d**ks to Mac Kickstarter supporters at the beginning. I don't really trust the company – but the game will likely be done right on Switch. This is my favourite genre - but man, it's still one with the fewest modern real gems. I hope developers change this in the future – especially Indie devs need to move away from the 2D space more now. I was just thinking of some great platformers I’ve played on Switch but realized they’re 2D. Hmm... I agree with others that are saying that this list brings to attention that there aren’t many good ones. @Stargazer That may be true to you but there is no reason for you or nintendolife to be complete fanboys about it. You can review a game or mention it without having to talk down about it saying how your preferred game is so much better. @1UP_MARIO Now you mention it I wouldn't class Snake Pass or Human Fall Flat as 3D platformers either. It's a bit of an odd list really. @GetShulked It could have been so much better. The camera makes this game almost unplayable. I guess they all can’t be Mario. @Toadie - It's also an endless runner, so I cannot say it'd do the franchise justice to get ported. Love Snake Pass, Yooka Laylee, Mario Odyssey, Crash, Toad and can can't wait for a Hat in Time! Since Yooka Laylee is on a pretty crazy good sale I decided to throw caution to the wind and grab it. I really gotta say, we’ve become a hard to please lot because I can’t imagine where in reality all of the negative opinions of this game come from. It’s really fun, looks great, and did I mention....fun? People need to chill, seriously. Really enjoying it so far and it’s a very pleasant surprise. Plus the collecting helps my OCD lol. I'm not as upset as some other commenters seem to be, but this definitely is a lackluster list. Not the best genre on the Switch or even in general it would seem. I also tried to love Mario Odyssey more than I ended up loving it in the end. Not a bad game by ANY means, but I don't know, not that special either in my book. Got paid to advertise crap games? Some are not even platformers, Captain Toad is more of a puzzle game. There's a typo in the headline. It should read "The Best 3D Platformers [Are] On Nintendo Switch". Mario Odyssey is pretty much it for me when it comes to this list. @GetShulked @ShadJV Agreed with you guys. I have watched videos of this game and I am going to buy it in a few weeks. @SamusLv7 enjoy! As I mentioned, the minecart stages and Rextro minigames might drive you a bit batty, and the game is certainly a little rough but no more than Banjo Kazooie was. I really hope this becomes a franchise; now that the characters and world are established, they can move forward and iron out the kinks. @IceEarthGuard I didn't set the prices. I'm just explaining them. Edit: and then I saw the 3D part haha.... well that explains a lot. Solid list, but I prefer 2D like Embers of Mirrim and N+. I know they might be an aquired taste, sometimes it just gets a bit too obvious what's gonna be on these kind of lists. I wiuld include Embers because of the very different dual stick mechanics, and N+ because it is so much fun in co-op with a gazillion levels. 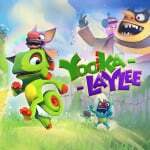 @Fake-E-Lee interestingly Yooka is 50% off both in the US and the UK and very few people are mentioning it. As long as some very bad games on sale are being commented, why not this one, which seems to be better than average? Don’t know, it’s a fantastic sale on a fantastic game. @iLikeUrAttitude because Crash has clunky controls and feels very awkward to control versus Mario games. @pigwarts5ever I know. I am just going on a small outrage heheh. +1 for Yooka Laylee - once I accepted that it would never be as tight and fresh as Banjo Kazooie 1, I found myself having a ball. -1 for Snake Pass - that game is nothing but stress and frustration. How anyone is classifying it as a joy to play, is beyond me. @joex Again you can review a game or mention it without having to talk down about it saying how your preferred game is so much better. I have no problem with nintendolife criticizing other platformers but when the tone of their review is just a fanboy mentality like "Mario rules Crash drools" then thats where a problem is occurring. Not only was that mentality in their review of the game but also in this article. What you said was just your preference of the game. 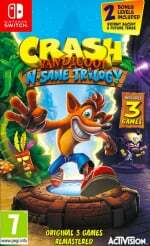 "However, despite having a reputation for hosting the finest of the genre, none of Nintendo’s platforms have hosted the breadth of 3D platformers we saw back during the genre’s N64 heyday." @GrailUK unfortunately not, did ask the devs of Fe but they said it was too expensive for their little company.